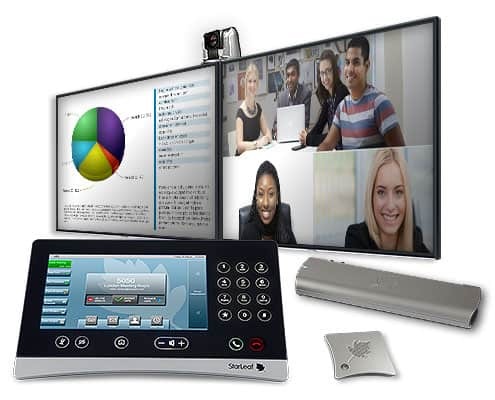 The StarLeaf video conferencing solution is a super easy-to-use technology that allows for refreshingly clear video conferencing without the need for on-site IT support. Whether you want to reduce travel to client or remote office locations or have distance training and team collaboration, the StarLeaf solution is simple to use, but offers leading technology. To find out how effective StarLeaf video conferencing can be for your business, give us a call or contact us today for a no-obligation estimate. See what an actual StarLeaf Breeze customer has to say about using the Video Conferencing system to stay connected with clients, remote locations and employees on the go. Getting a no-obligation estimate for your A/V and conference room solutions is just a few clicks away.